Sweet Roselyn. Her birth tested and stretched her parents in ways they couldn't have anticipated. I know because I was lucky enough to be present for much of it, and witnessed their strength and love in that space. The sacrifices of love they made for one another and for Roselyn in birth continue to shine in these early weeks of life together as a family of 3. 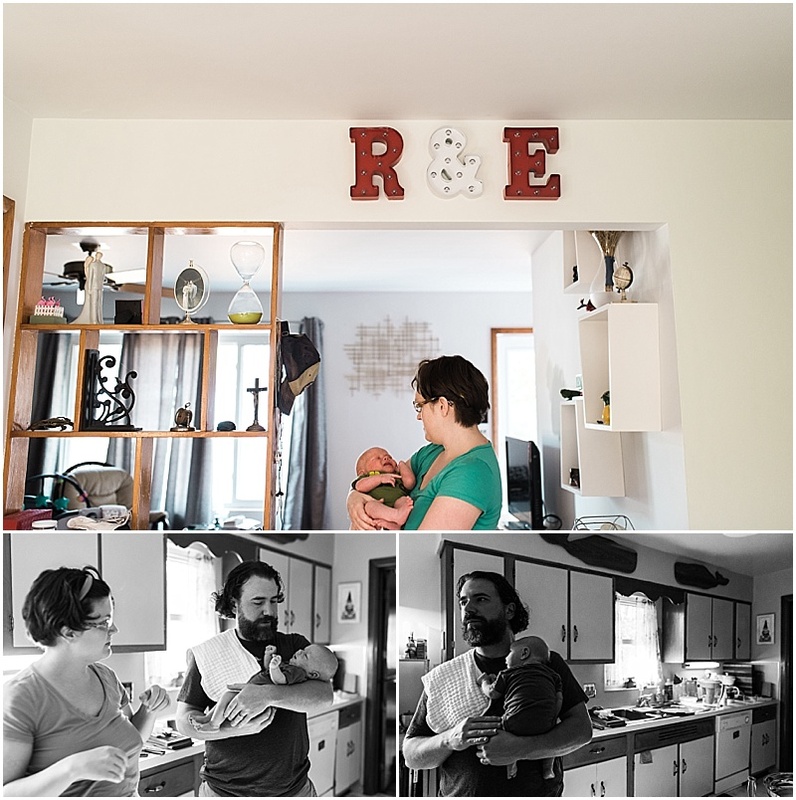 They're a beautiful little family and they happen to have rad retro taste, too. I love these quite Sunday morning moments at their home, spent nursing and making baby footprints, preparing a large brunch feast while sipping coffee, and loving on each other.